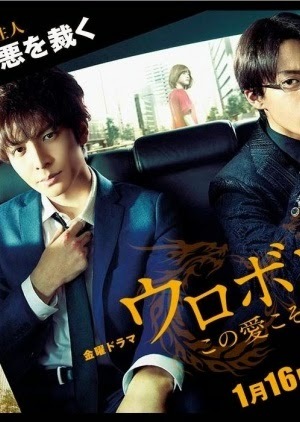 Lately i have been spam watching some japanese drama. Haha i don't know why but japanese drama interests me more. "Ango Ishikawa is a detective with smarts and a keen sense of observation. He's in a great physical shape and also highly ambitious. Ango also only focuses on his work and his personal life is pretty much non-existent. One day, Ango is shot in the head by the killer who is lurking at the crime scene. Ango hovers between life and death. Since then Ango can see and talk with the dead." 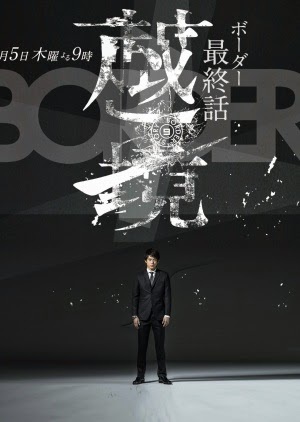 I watched this drama halfway last year and so yeap, went to finish it up. Apparently the last episode is the 9th one but the ending doesn't seems like it has ended leh :/ I thought there would be one or more episode to go but nah. Overall its a pretty interesting drama and the plot is fine. "Ryuzaki Ikuo and Danno Tatsuya are orphans who grew up in an orphanage called Mahoroba. When they were elementary school students, an orphanage staff, who took care of them like an older sister, was killed by someone before their very eyes. The two of them gave statements to the police, but their words were squashed by a police official with a GOLD watch and the case was also covered up for some reason. 15 years later, Ikuo has become a detective. Skilled at catching whiff of cases, he has the highest rate of arrests in his police precinct. On the other hand, Tatsuya has risen to the top of the underworld as a leading member of an organised crime group. A police and a gangster with only each other to trust. The objectives of these two people, who should never have any association, are to locate the GOLD watch man within the police, find out the truth and expose the darkness of this all powerful organisation. Based on the manga series "Ouroboros" by Kanzaki Yuuya." "Haruna Tsubame (Hirose Suzu), an inconspicuous high school girl, is always sensitive to people’s moods and keeps the peace in school. One day, she gets pushed to become the president of the student council by the people around her. Tsubame’s encounter with a man who is a genius speechwriter, leads to a revolution in school. She struggles to change a school full of irrationality and dissatisfaction with the power of words"
This drama is more of the school life, comedy and romance genre. It's kinda interesting and i agree with some of the speeches and scenes shown in the drama. Not bad not bad. Anws all summaries and photos are taken from mydramalist!